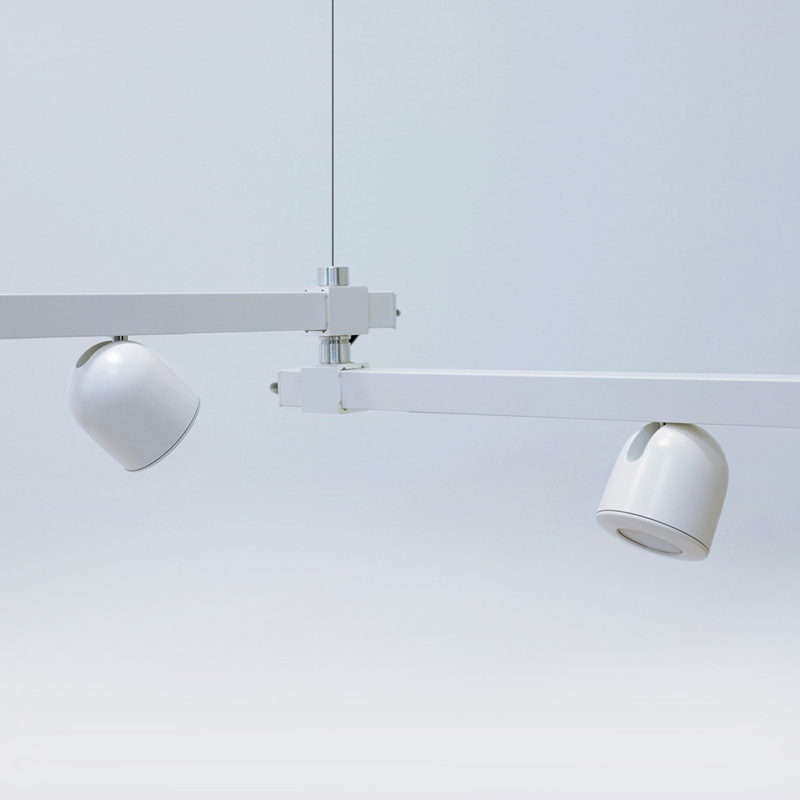 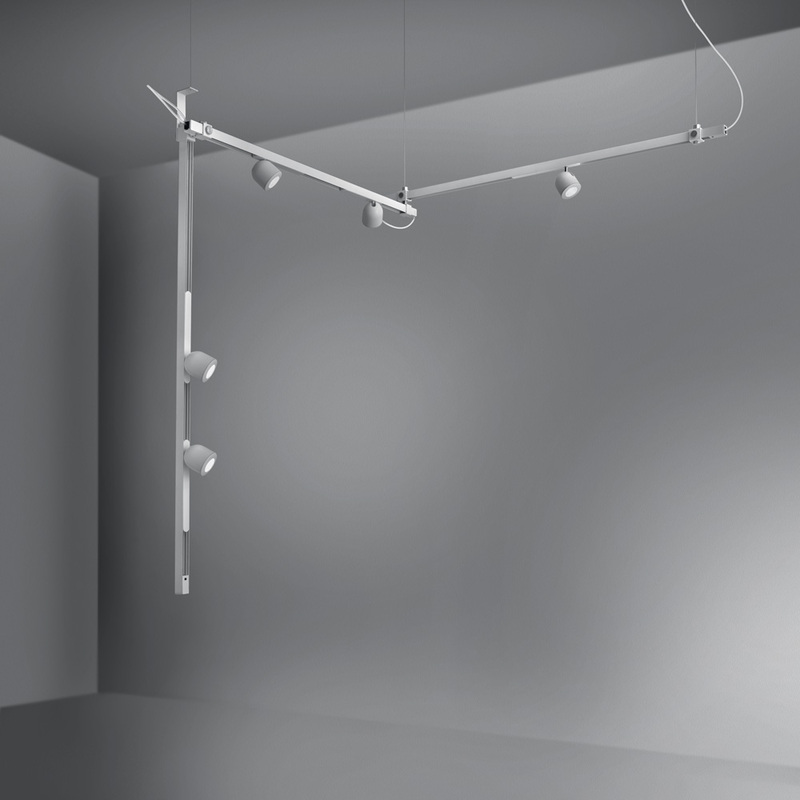 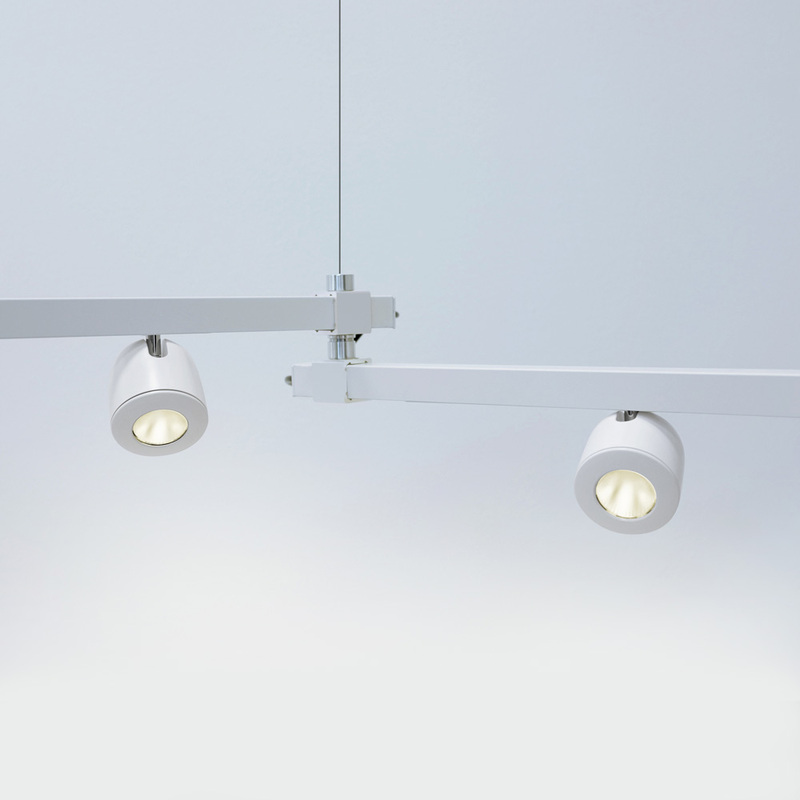 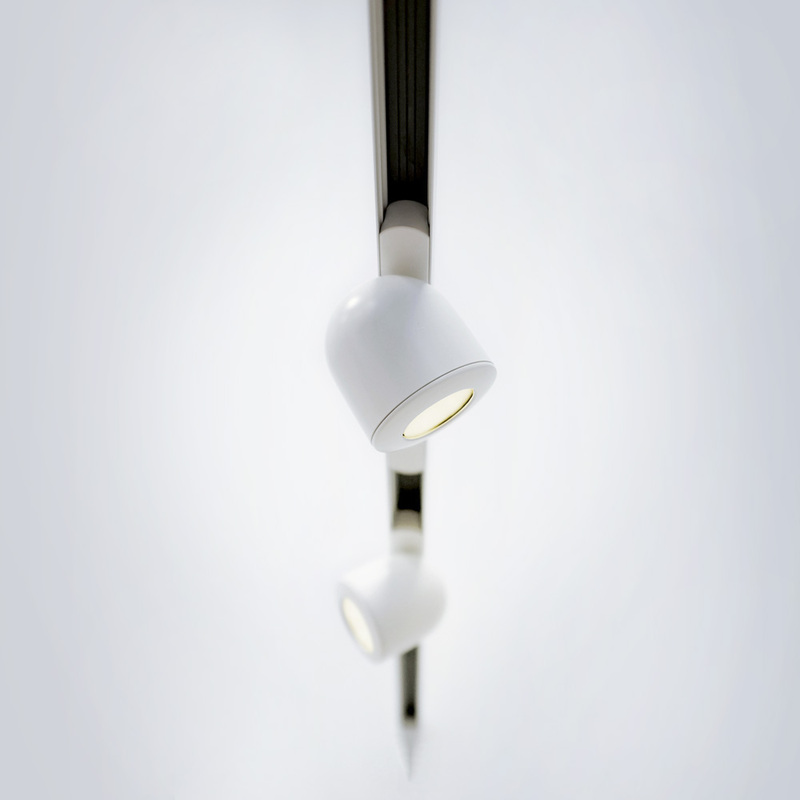 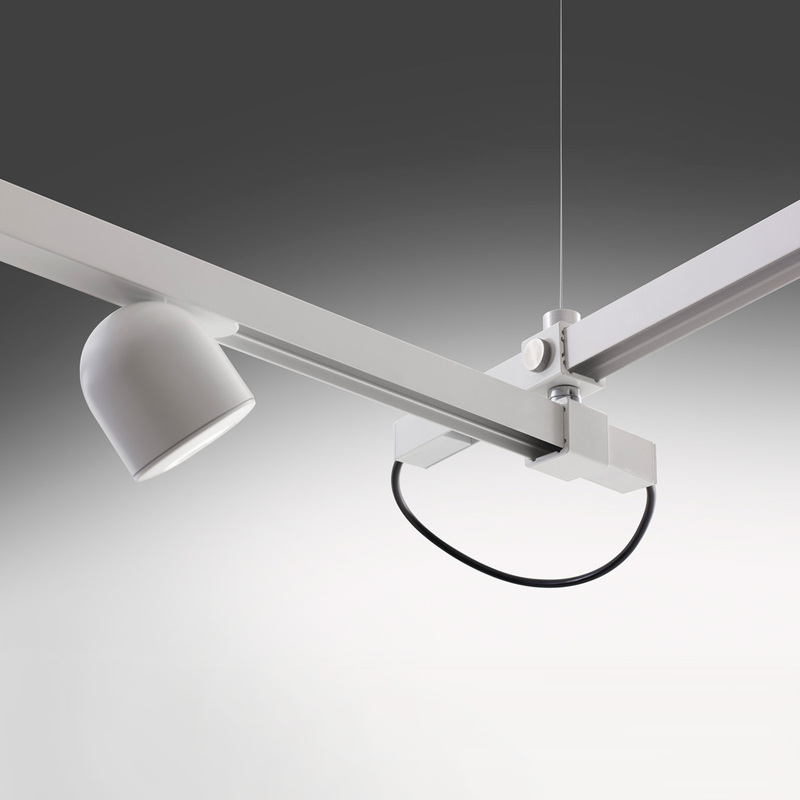 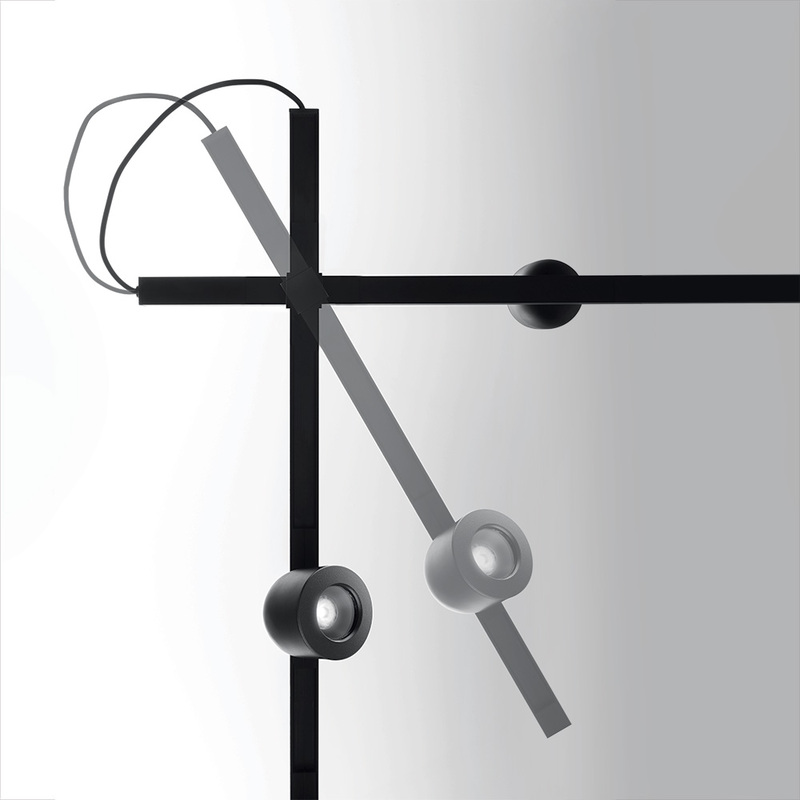 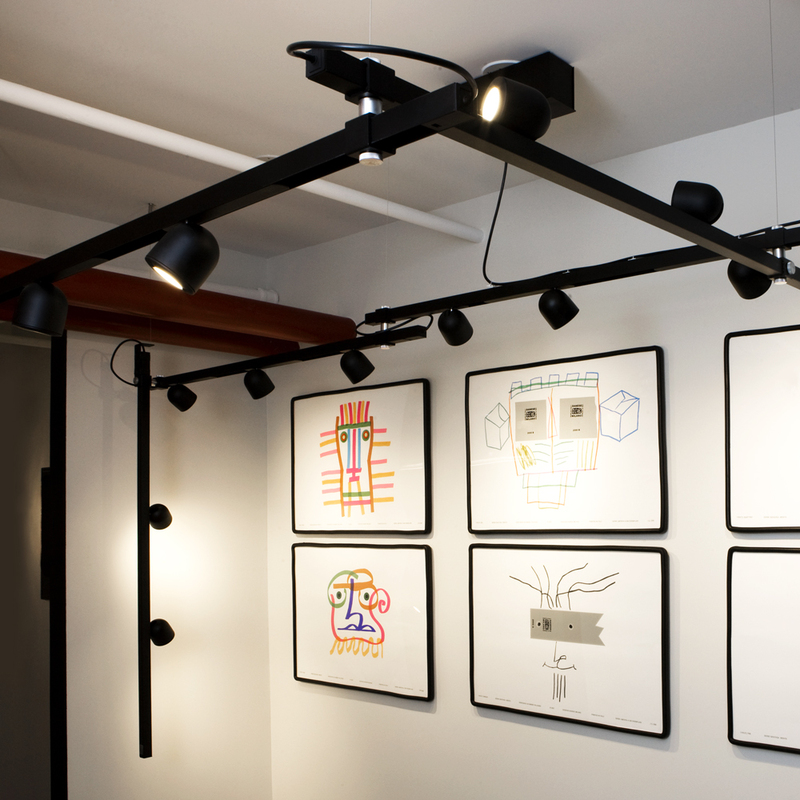 Olmo is a system based on a combination of plain optical and mechanical elements: a linear track module, a junction that is also a power connection, and three luminous heads that offer different performances. Upon installing, each individual element can be fitted with a dimmer, and the selected setting can be stored for subsequent use. 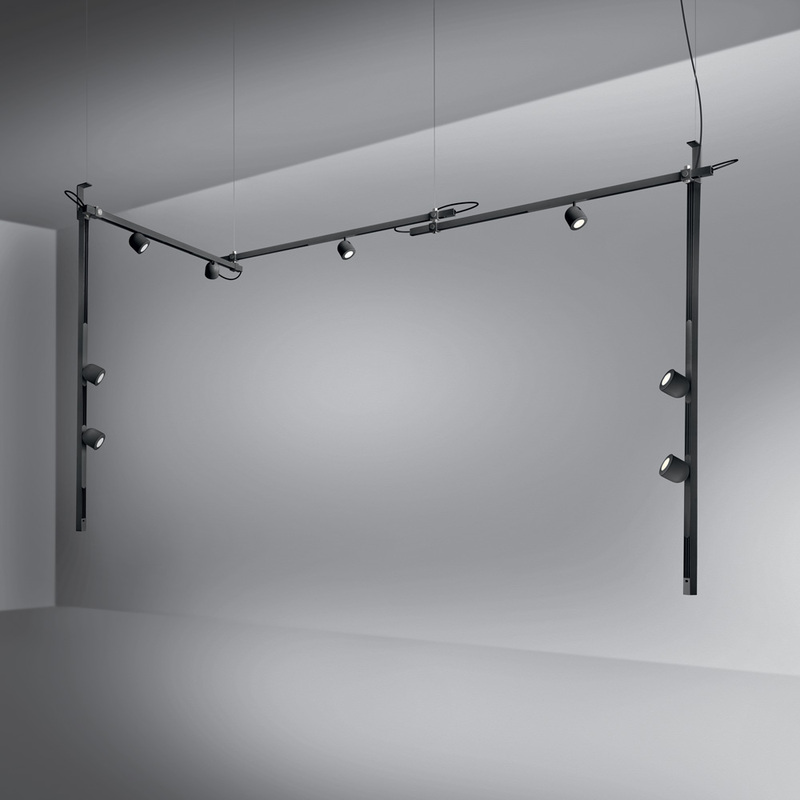 Olmo ensures maximum flexibility, in that it allows the user to create configurations with different numbers of lighting elements on the suspended frames. The frames accommodate an integrated, innovative printed circuit board for power supply, capable of supporting up to 100W. 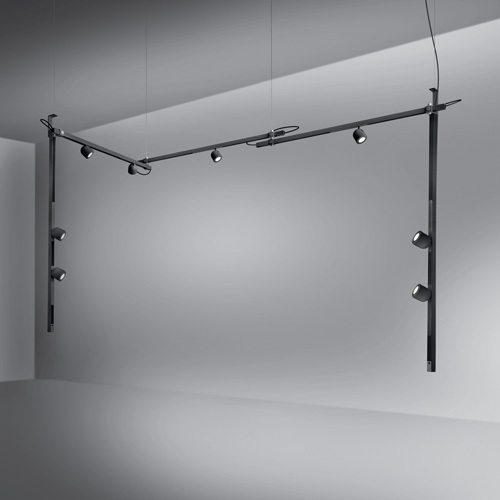 To ensure utmost mounting flexibility, the tracks can either be connected with one another or otherwise installed vertically or horizontally. 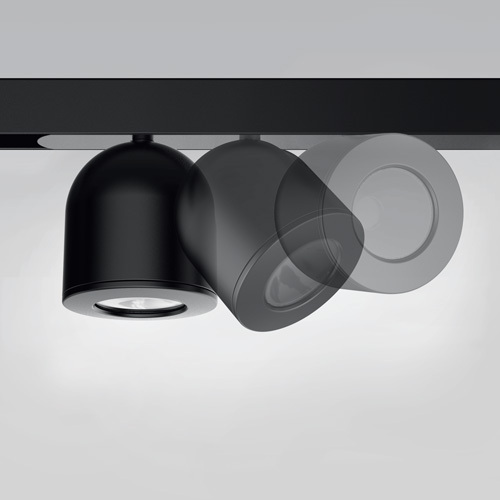 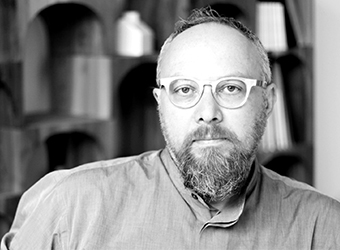 Olmo is a system that grows spontaneously to adjust its geometry, look, and lighting performance to suit the needs of any space, public or private. 3 beams are available Spot 22°, Flood 29°, Wide Flood 42° in 2700K & 3000K and 2 colors white & black.